Here’s how to create a progress report that should be understandable by educators. Sometimes when returning back to public or private school a progress report could be needed to show how a student should be placed in classes. These report cards are primarily for those younger than high school: elementary and middle school levels. A progress report also might be useful for someone tutoring another family’s child, as a way to document what the child has accomplished. A family that is split and may be educating a child in two different homes may want a way to objectively report to the other ex-spouse what the child has been learning. One homeschool parent needed a progress report when her son wanted to join Pop Warner to play football. Her Excel spreadsheet for creating a custom report card is below. 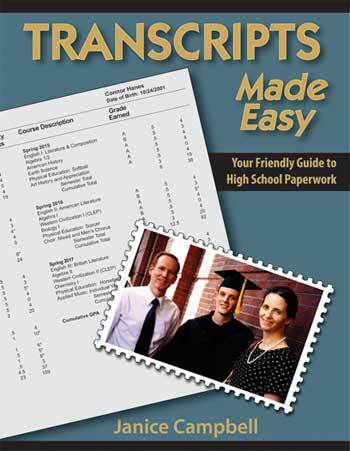 Homeschoolers need to know how to keep simple, accurate high school records in order to create a transcript that will “wow” college admissions counselors. Designed to be simple and doable, even for parents who are starting record keeping late. Educationese — or Teacherese — is the name sometimes given to the jargon too frequently employed by some of those who train our schoolteachers. This fine academic tool was designed to assist in the writing of reports, grant applications, and other documents related to public schools. I believe that it will be particularly useful for people involved in writing reports for Accreditation. Amaze your colleagues with finely crafted phrases of educational nonsense! Excel (.xls) format. Edit to suit your homeschool. Print out two-sided. Also available in .xls format. Useful for those needing a “Progress Report” for Pop Warner or to meet a state requirement. Thanks to homeschool mom, Sherie Williams, for providing this template. Use this Printable PDF Homeschool Progress Report Form to report your homeschooling efforts to another official person. Google Template for a Home School Report Card. You will need a Google account to use this. High School Report Card printable in both pdf and excel formats. For infants through 6th grade. Save the filled out pdf template to your own computer. Designed for students in Ireland, but could be useful anywhere. Take your reports from boring to brilliant with customizable templates from Canva. Browse our collection of professionally designed layouts you can personalize and print in minutes. Sign in required.